We have always been very vocal about our filmfest-crush with QCINEMA. Simply because they program the best selection of local and international films – and we always strike gold among the titles and even from non-prize winners. And also, it charms us more when a local festival does not call so much attention to itself. This festival let the films present themselves to moviegoers without so much funfare. This year’s edition is highlighted by the addition of more competition films in different sections. Ed Lejano’s QCINEMA is sure to dazzle the cineastes. Properly called, the QC International Film Festival, it will open on the 19th of this month with the breathtaking oil-painted film, Loving Vincent. And it does also titillate as the festival is not exactly Filipino-centric, but more aptly deemed buzz-generative with lots of international flairs. This Sundance megahit invokes the throwback beauty of a 16mm film as it captures the yearning and confusion of adolescent turmoil. Written and directed by one of the most exciting female filmmakers to come out of the fest circuit, Beach Rats is Eliza Hitman’s sophomore feature. After the heartbreaking exclusion of his film Force Majeure at the Oscars some years back, Ruben Ostlund returns with Cannes 2017 Palme d’Or winner The Square – a decadently satirical film about art installations in Sweden. Having been recently selected as Sweden’s official entry to the Academy Awards, The Square is so far the frontrunner for the Best Foreign Language Film award. Finland’s Official entry to the 2018 Academy Awards is a biographical drama about a war veteran who became internationally renowned for his drawings of extremely muscular and sexualized male figures. Tom of Finland is directed Dome Karukoski, considered as one of the most successful Finnish filmmakers ever – who has been in over 30 festivals, and whose films are both blockbusters and internationally acclaimed. Universally acclaimed, Sacred Dear is the much anticipated film by Yorgos Lanthimos which starred Hollywood megastars Nicole Kidman and Colin Farrell. This psychological horror film premiered at the 2017 Cannes Film Festival and went head to head with The Square for the highest festival prize. Lanthimos, world-famous for Dogtooth, has been dubbed as one of the most idiosyncratic filmmakers in the world. This film about a surgeon and a mysterious boy won the Best Screenplay award at Cannes, and his third time to present his film at the said world’s most prestigious film competition. You've just got to hand it to Alexey Zvyagintsev - quite possibly, the greatest filmmaker of contemporary art, thus far. Zvyagintsev's pictures are rolled down very simply, and naturally - and at times - uneventful. But as he reels you in, you are immensely captured to be involved, and not just remain a mere spectator. His domestic dramas often expose the decay brought upon by the corruption and sociocultural decline of modern revisionist Russia. After the magnificent Elena, and the masterful Leviathan, here comes another Cannes firestarter – a missing-child procedural this time. One of the most interesting filmmakers to come out in the dawning of digital cinema in the Philippines is a Pangasinense named Christopher Gozum. He is initially known as an OFW filmmaker whose films range from a returning poet to a migrating husband, and now to a filmmaker investigating about the uprising led by a townsfolk hero. 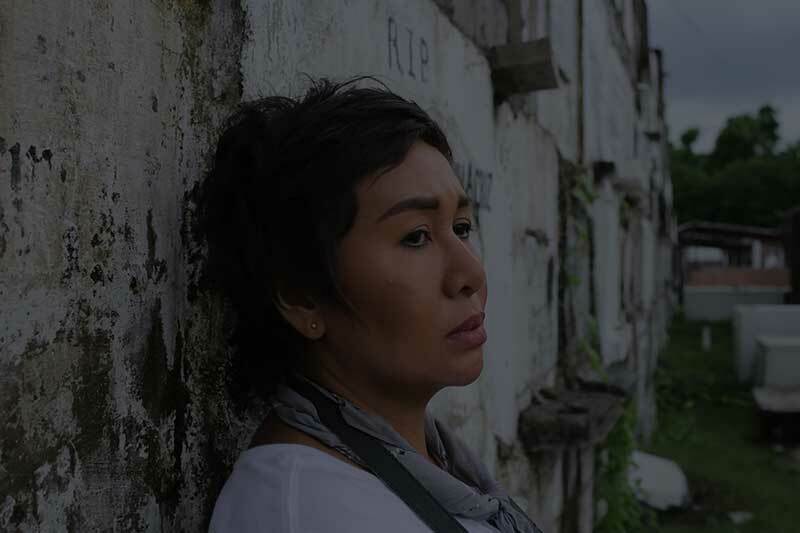 Gozum is a four-time Cinemanila winner and a two-time Palanca awardee, one of which is the screenplay based on the story of Pedro Calosa that would become the basis of the “Ghosts of Tayug 1931.” We are doubly excited to see the film because of Gawad Urian winner Fe Gingging Hyde. Only because this is written by critically acclaimed screenwriter Jim Flores (Tuli, BoY, Raket ni Nanay), Kulay Lila is just as exciting as its dramatic possibilities where a couple is given a chance to fix their marriage with the aid of a retreat program. VARIETY dubbed this film "hypnotic and bone-shattering" based on the true accounts of an American man in a Thai prison who had to join a violent Muy Thai boxing competition in order to survive his ordeals. This Jean-Stephane Sauvaire film premiered at the Midnight Screenings of Cannes 2017, and is now being distributed and championed by A24 company in the US. Asian Next Wave is one of QCinema's competition sections for up-and-coming Asian filmmakers with less than three features. QCinema pushes forward diverse features in presenting a broad spectrum of LGBT narratives across the world. There will also be a short film competition, and other special screenings that definitely will whet the cinephiles’ appetite. For the complete schedule, kindly visit the QCINEMA website. QCINEMA is presented by the QC Film Commission and the QC Government. See you there!